Join one of the biggest Chiropractic movements in the country! ChiroFEST is leading the way within an industry poised for greatness. Make plans to come to Vancouver, eager and hungry, to gain the knowledge and inspiration you need to take your practice to the NEXT LEVEL. Drawing hundreds of the world's chiropractic leaders together, to teach, collaborate and inspire one another. The time’s come for you to start being inspired by some of the sharpest minds, experts and thought leaders in the chiropractic industry. 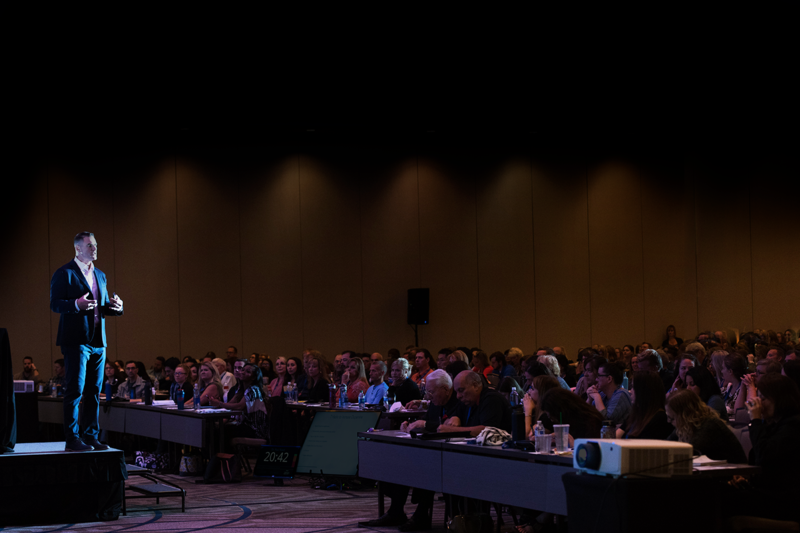 Redefine your passion for the art, science, and philosophy of chiropractic and wellness, while also gaining knowledge and practical tips to help power up your practice. Join us this fall for the premiere event of the year that you’ll be talking about long after it’s over. Learn from thought leaders and connect with sponsors and vendors. Meet our sponsors and hear from some of today's big names in chiropracTIC. The speaking line-up regularly includes the top and most sought after speakers in TIC. Past speakers have included Dr. Josh Axe, Dr. John Bergman, Dr. Troy Dukowitz, and Dr. Jessica Harden, just to name a few. Every year we also host sponsors and vendors that make themselves available to all who attend ChiroFest. Companies like ReviewWave, Genesis, EnergyBits, and others. Ticket prices continue to increase as we get closer to ChiroFest, so don't wait! "Loving & living the "honest" truth of Chiropractic!" "As a CA, I wanted to be sure not to miss this great chiropractic event so I went by myself and was NOT disappointed! Great speakers, a really great vibe and excellent speakers! I can't wait to go again this year!" "You want to know how amazing ChiroFest is? Don't just read the reviews - COME AND SEE for yourself!" "What and AMAZING event! Such a huge thank you to Dr Paul Reed for making this all happen. I'm already looking forward to next year, and the year after that, and the year after that!" "Last year was one of the best and most exciting events I've been to! This year is 2 days and even closer to my home and my office so I'm twice as excited, Dr. Reed you've done it again!" This is the can't miss event of the year, with amazing speakers, incredible energy and the best networking around! One of America’s first sustainable hotels, and also the first hotel in the world to earn both Leadership in Energy and Environmental Design recognition.